Orchards (3). Pruning two year olds. 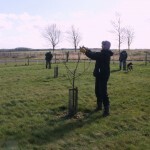 After all the bitterly cold weather it was good to be out for a day of pruning and learning as I helped Bob Lever prune the two year old apple trees in East of England Apple and Orchard Project’s orchard. 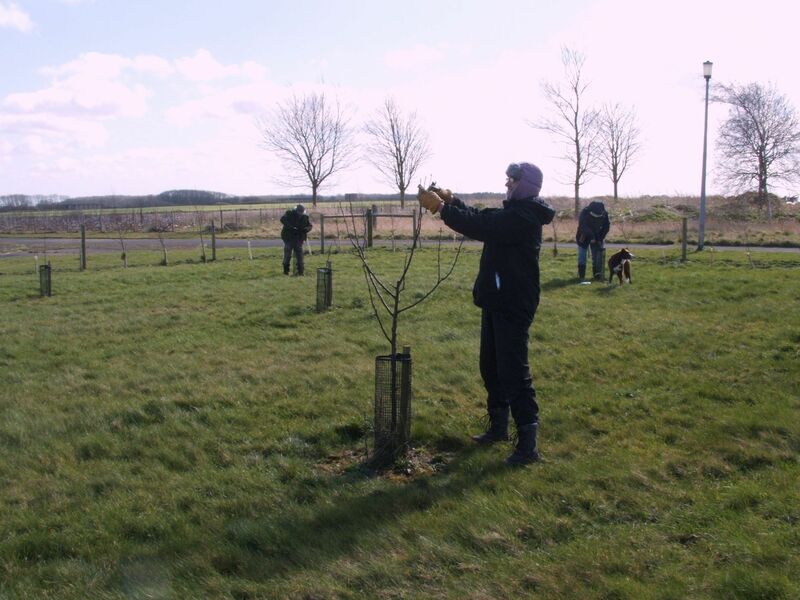 Their orchard has two of each East Anglian variety of apple and although I knew it was going to be good for practicing my pruning this was the best pruning experience possible – the varieties are just so very different. Long skinny ones that need to be encouraged to thicken up, big tough chunky ones with branches everywhere that need controlling, others that seem reluctant to produce a single decent branch and have to be coaxed in to it, some that wanted every branch to reach the sun and needed to be persuaded to spread out and some, but very few, that were just like those in the text books on pruning. If you buy two different varieties of apple on the same rootstock type don’t expect them to have the same growth characteristics they’re as different in shape and character as people are. My thanks go to Bob Lever for taking me under his wing and teaching me about some of the many ways of the apple tree.